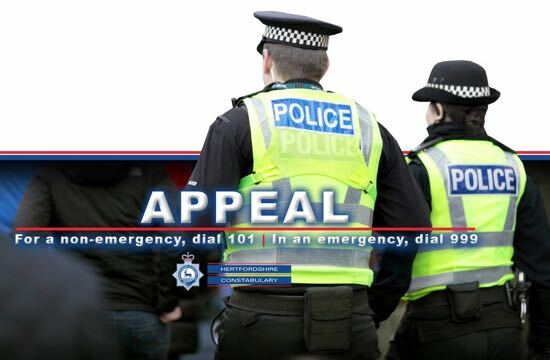 The first of the two burglaries was in Oaklands Avenue on April 9, and the second in Westlands Drive on April 10 or 11. In both cases police are appealing for witnesses. 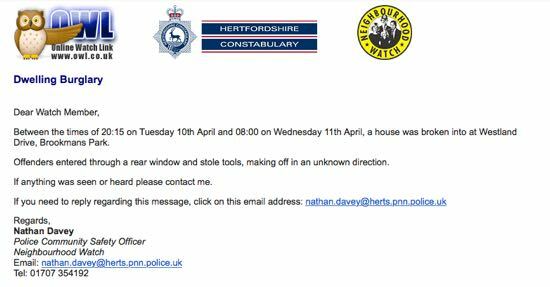 Below are grabs of the neighbourhood watch emails sent out by the OWL (Herts Online Watch Link).